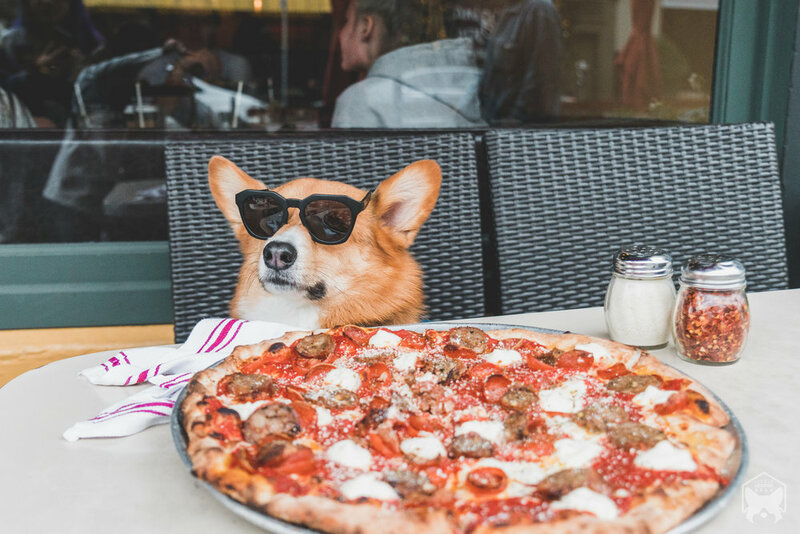 Ever thought to yourself, “I wish I had my dog with me” as you take a bite into a delicious pizza while sitting outside with the sun radiating down on you? Yeah well, think of that no more! 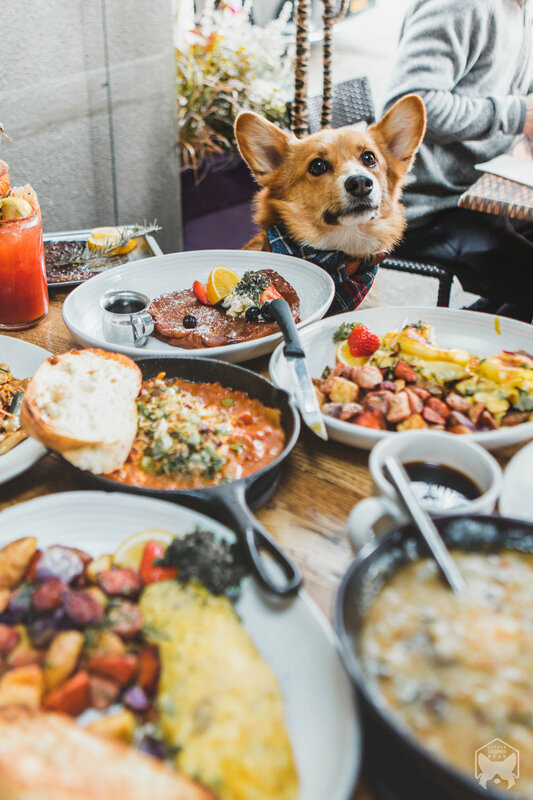 If you’re looking to enjoy great food in San Francisco without having to leave your pup at home, then leash up your pup and head to one of these dog-friendly restaurants that’ll have both of you drooling. This restaurant isn’t exactly in San Francisco, but it is at a convenient location right next to SFO. 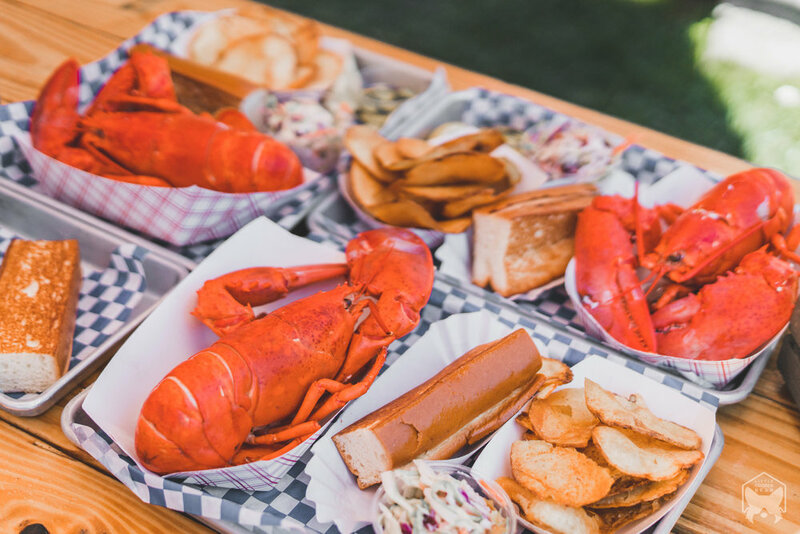 New England Lobster serves fresh and frozen shellfish in a variety of ways, from by the pound to rolls to tacos to sandwiches. Our favorite is the Maine Lobster Platter, which is a whole lobster served with chips, coleslaw, bread and butter. The lobster chowder is a MUST-HAVE alongside the platters. You can take the chips and bread from the platter to eat with the chowder. 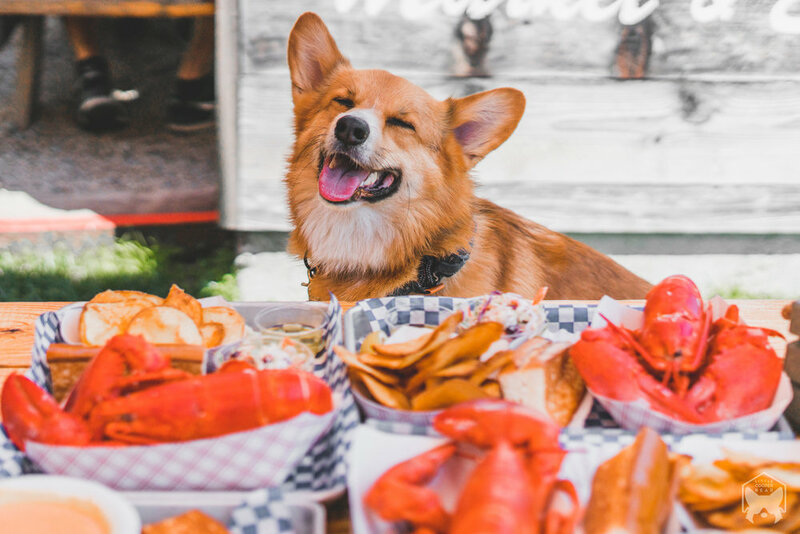 Your four-legged friend will be drooling right alongside you as you’re enjoying the delicious lobster fanfare. There’s plenty of outdoor seatings but parking is limited. When it’s peak lobster season, the price for the lobster platter goes down, so definitely get your lobster fix during this time! 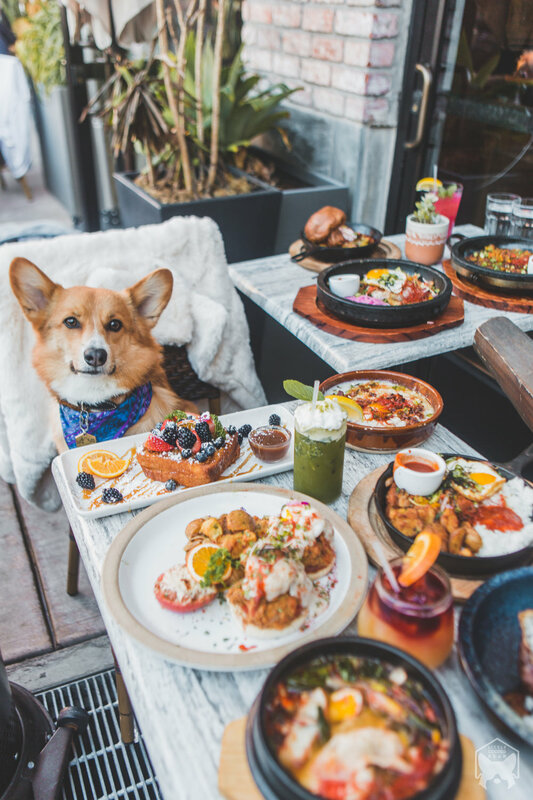 If you’re into Thai food fused with American flavors, then this is the place for you and your pup to enjoy brunch on the weekends (or dinner)! It is located right in the Marina District; Crissy Field, Fort Mason, and Palace of Fine Arts are walking distance and are all dog-friendly. At Blackwood, their mission is to keep things classically Thai and American at the same time. They have two fireside communal tables and banquettes equipped with comfortable pillows inside, but since you’re coming here with your dog (like me), they have plenty of seating outdoors. The wait during peak hours can get up to 2 hours; it’s one of the popular brunch places in the Marina so get there early if you can. If you get cold while sitting outside, they have blankets to keep you toasty and comfortable. The food is delicious for any time of the day, and the service is great. If you’re the type that loves bacon, Blackwood has the famous Millionaire Bacon for you to rejoice and consume. There are dog water bowls available if your pup gets thirsty. All-in-all, this is a great brunch spot to enjoy with your dog on a sunny Sunday. Situated in the center of North Beach, this place offers fresh seafood prepared in simple, Italian-style. It can get pretty crowded on the weekends so it is best to call ahead of time to book a reservation if you have four or more. The outdoor seating area is protected by a cobalt blue canopy, and of course, dogs are welcomed. Sotto Mare is famous for their Cioppino, which is a tomato-based seafood stew that contains prawns, scallops, crab legs, and cod in a rich broth. It is absolutely delectable and is pretty much the “Best Damn Cioppino” ever. This dish is best tackled with a friend or two. I almost made the mistake of ordering two when we had a party of four (the waitress didn’t let me live it down, I was hungry). Aside from the famous Cioppino, the seafood risotto was perfect, and I couldn’t have enough of it. There is plenty of meter parking but it is located near a confusing and busy intersection so definitely be wary when you’re driving. 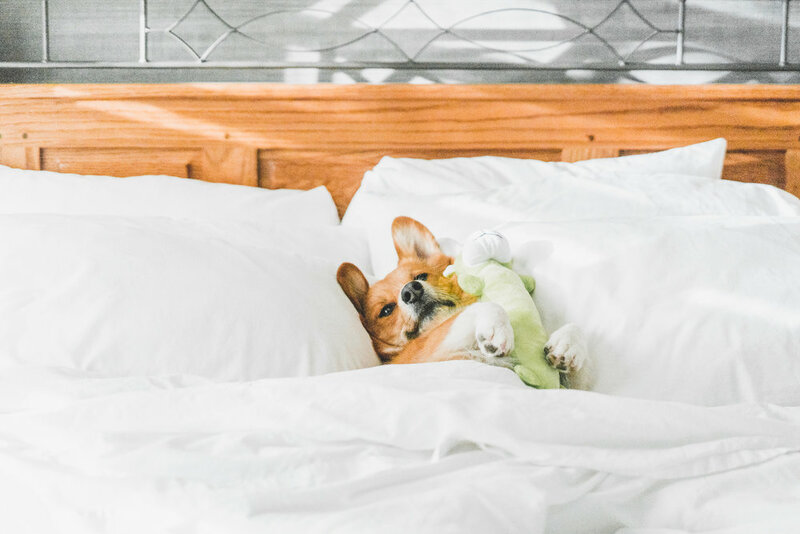 The great thing about North Beach is that it’s dog-friendly, you can take your pup to Washington Square Park for them to romp around (fun fact: It is one of the city’s first parks and was established in 1847). At the heart of Fisherman’s Wharf, Surisan is a contemporary brunch spot serving up Asian-inspired American comfort food. They’re usually packed for brunch, and the queue can get up to 2 hours, but they do offer breakfast and dinner as well. If you come for dinner instead of brunch, they have innovative Korean dishes that are top-quality and locally sourced. Not only does this place have plenty of indoor seatings, they have a massive outdoor area where your dog(s) are welcomed! The staff is friendly and the space is very welcoming; there’s even heating outside. In regards to the food, their Korean fried chicken eggs benedict is one of a kind and is a must-get (along with bottomless mimosas) when you come in for brunch. If it’s a cold and cloudy day, they have spicy dumpling soup that really warms the soul. Surisan is a powerhouse when it comes to brunchin’. Once you’re done eating at Surisan, you can continue to explore Fisherman’s Wharf and visit Ghirardelli Square. Parking around here is quite difficult, and there are many one ways, so it’s best to park near residential areas but just be careful with the hills and parallel parking. 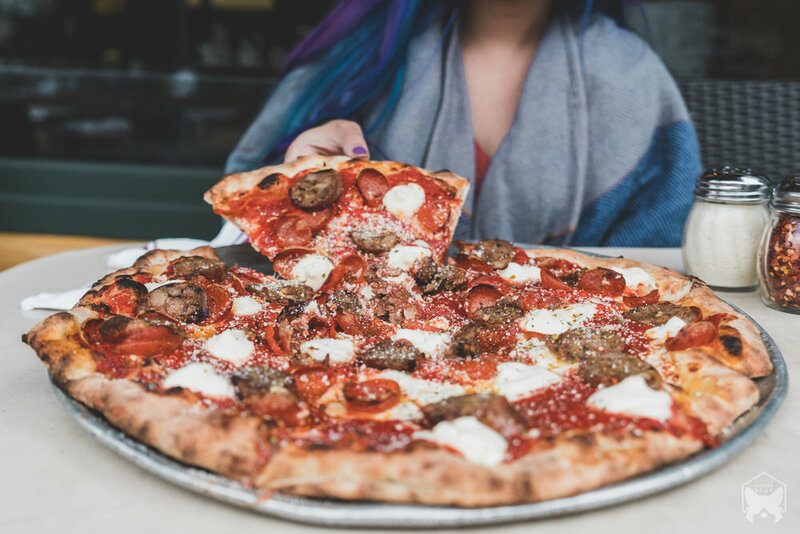 Dubbed as the best pizza joint in San Francisco, Tony’s Pizza Napoletana serves up 12 different styles of pizza, and you can order in one of about 92 different ways; from shapes, dough type, oven temperature, and pizza style, Tony’s Pizza has it all! There will always be a long queue here because it is simply the place to be for when you want pizza. There is outside seating on the sides of this corner restaurant, so it’s safe to say that yes, you can come here with your dog and that they are indeed dog-friendly. When you’re here, the New Yorker is the epitome of what good pizza should be: loaded with sausage, pepperoni, and cheese. It’s definitely the one that you should order. Tony’s Pizza is located in North Beach, just right across from Washington Square Park. Tucked away in the Dogpatch lies a Hawaiian inspired restaurant called Āina that is serving up some seriously amazing Hawaiian-fusion food. Their spam is made in-house and the fresh ingredients are apparent when you take a bite out of it a la spam-musubi ssam style. You can forget about spam in a can! If you’re craving something sweet, then their Malasadas is simply a must. It is a Portuguese style doughnut filled with guava custard and coated in coconut sugar. But if you’re not so much into sugary sweets, then get their Bloody Mary that’s made with lemongrass infused soju, charred tomato mix, fresh horseradish, pink peppercorn, and Tabasco sauce. You’ll be in for a treat! I love the chicken katsu and how they serve it like a Japanese bento; the dish includes Mary’s chicken, a rolled omelet, grilled seasonal greens, carrot purée, udon noodles, aïoli, and katsu jelly. The food tastes fresh, and the flavors all come together in harmony with each dish. 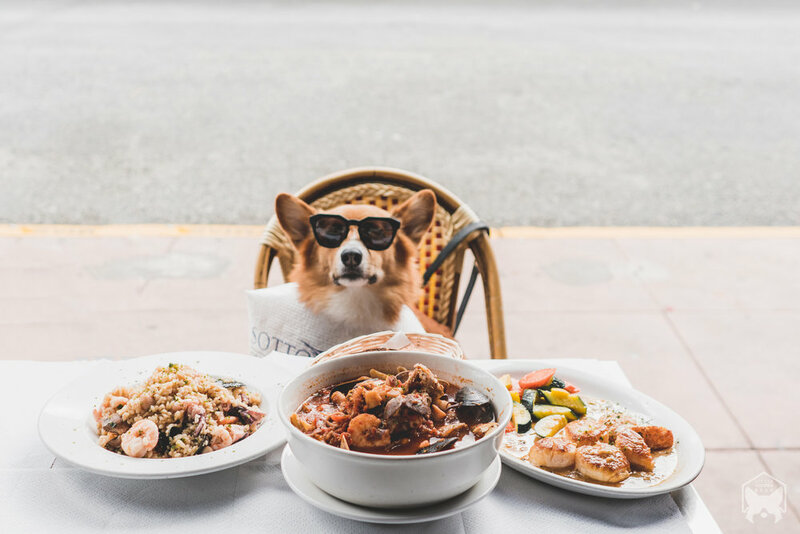 There are limited seatings outside and dogs are welcome to join you. The wait can go between 45 minutes to an hour so it’s best to call ahead and book a reservation. It’s always a pleasure to come here on a weekend to enjoy a sunny afternoon with friends. Sometimes, it’s the simple things in life that really makes living worthwhile. And when it comes to food, simple can be the best! That’s what khao mun gai is - simple and delicious. If you’re not familiar with this Thai dish, it’s a popular chicken-based street food and is often served with a chicken based soup broth. At Rooster & Rice (mainly the Marina location), that’s the only thing they serve. Khao mun gai is comprised of poached chicken over rice, garnished with cucumber and cilantro, and served with a fresh chili, ginger, garlic and soybean sauce. Rooster & Rice has been consistent in their taste and flavor every time I go. They have a few outdoor seatings and it’s best to enjoy with a dog by your side. It’s a small restaurant, almost looks like a take-out stall. But don’t let its dainty-ness fool you, the food is really good. 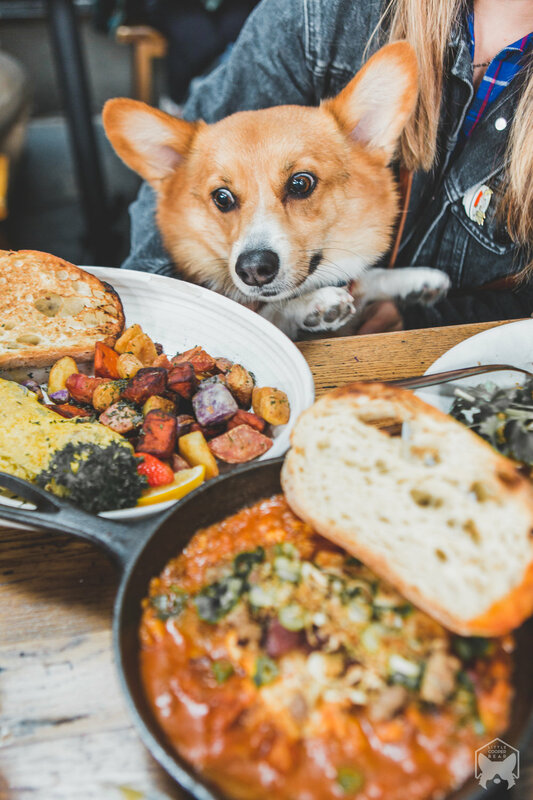 And there you have it, dog-friendly restaurants where you don’t have to leave your dog at home while you’re out enjoying food. 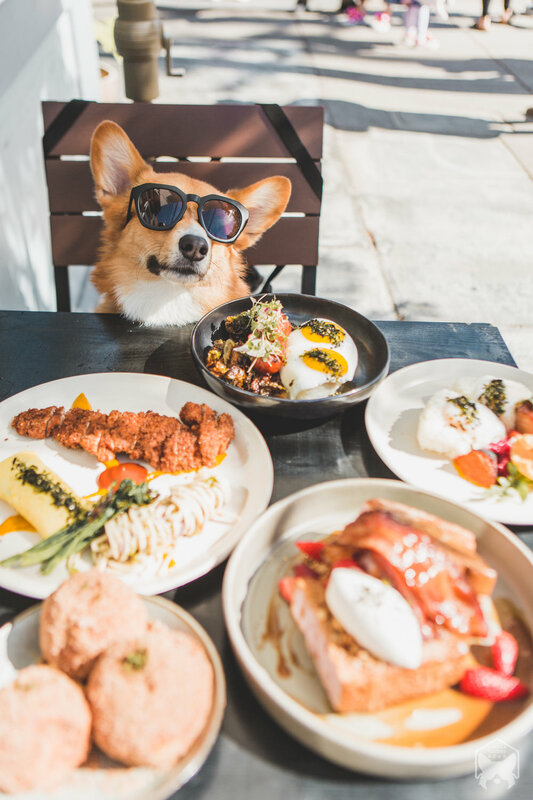 There are still so many amazing and fantastic restaurants out in the city that are dog-friendly, so I thought I would give them a quick mention below. 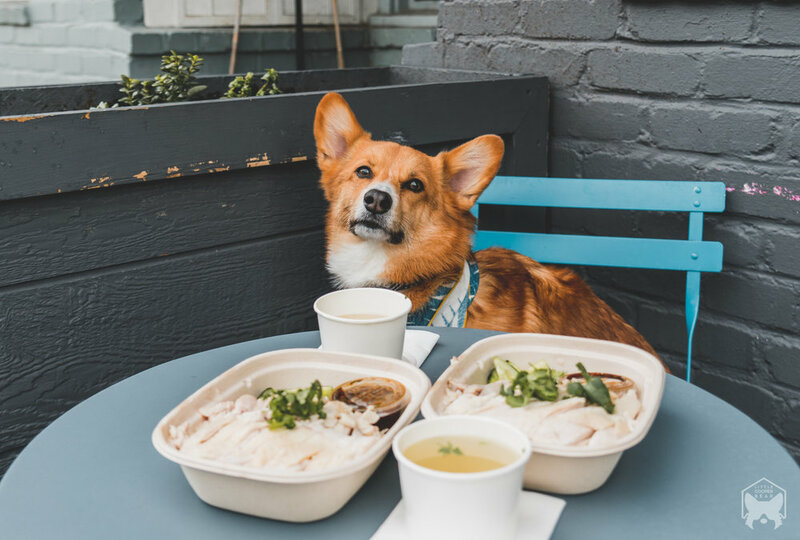 If you are planning on visiting good ol’ eclectic San Francisco, hope this list will help you navigate the diverse and exciting food scene the city has to offer with your pup by your side.